A few weeks after one of my dearest friends announced she was getting married in late July, I won a Jamberry sheet of choice from Ema of Geek Girl Bytes Back. The summer wedding colors were yellow and turquoise, so I chose Morning Dew nail wraps from Jamberry Nails' Garden Party collection. 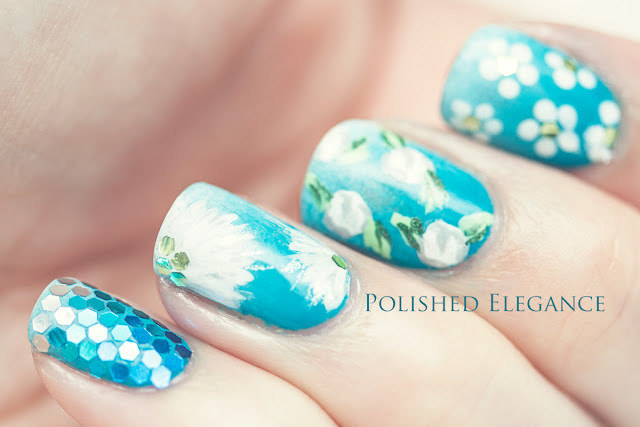 The sky blue and white floral nail art looked lovely while holding my beautiful bridesmaid bouquet last week, which I will be sharing a photograph of next Wordless Wednesday. The fake flower I'm holding above is the pretty pin the bride used as a bow on the gift bag for our bridesmaid jewelry. 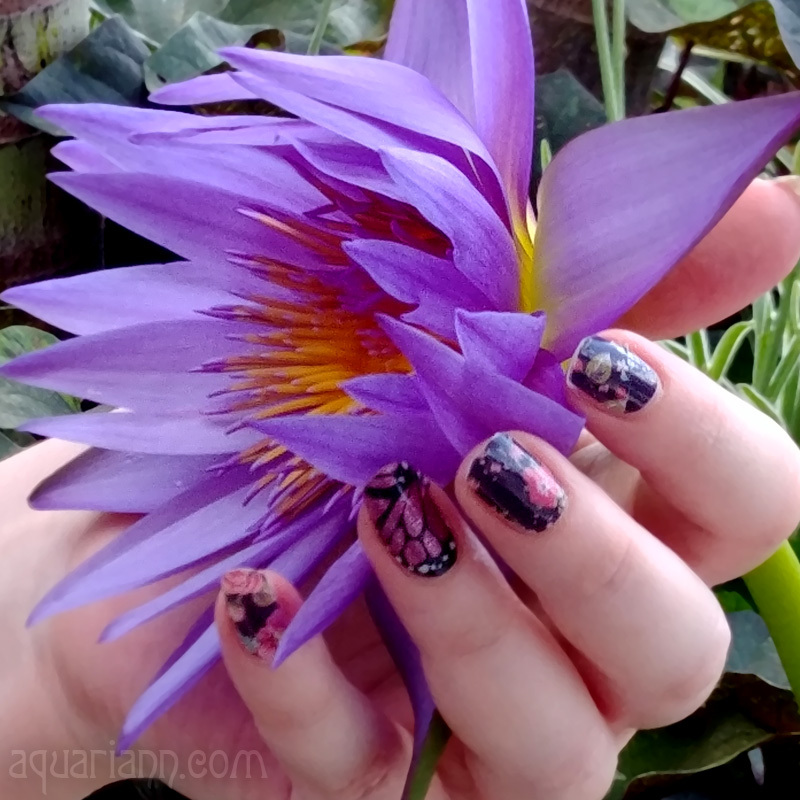 Very pretty nails. I love this pattern! Just saw that you posted this on Facebook - really pretty! 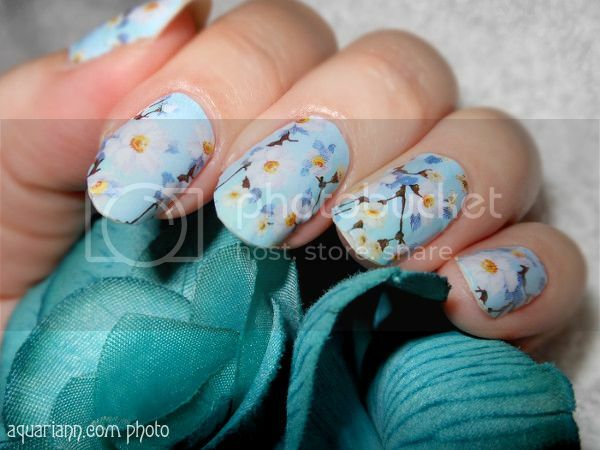 wooow...it's lovely...so amazing to see how creative nail art can be nowadays..